Born in the small Swiss city of La Chaux-de-Fonds, Charles-édouard Jeanneret-Gris—better known by his pseudonym Le Corbusier (October 6, 1887 – August 27, 1965)—is widely regarded as the most important architect of the 20th century. 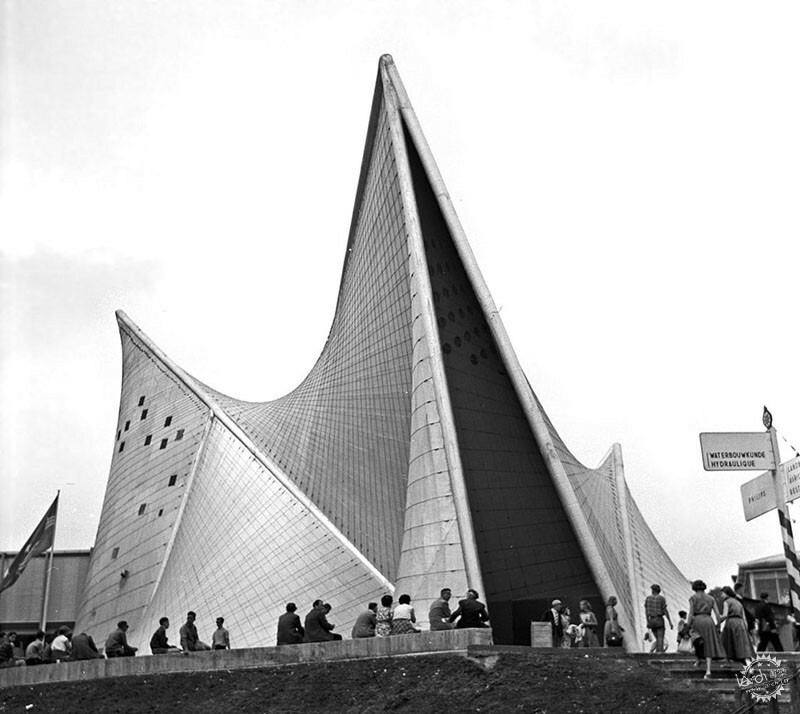 As a gifted architect, provocative writer, divisive urban planner, talented painter, and unparalleled polemicist, Le Corbusier was able to influence some of the world’s most powerful figures, leaving an indelible mark on architecture that can be seen in almost any city worldwide. After studying architecture in his hometown the young Jeanneret rejected the provincial atmosphere of Chaux-de-Fonds, traveling to Italy then on to Budapest and Vienna. He finally came to Paris, where he spent time working for August Perret, then learned German in order to work in the Berlin office of Peter Behrens, the proto-modernist who is often cited as the first ever industrial designer thanks to his work for AEG. After a further period of travel around the Balkans and Greece, Jeanneret returned to Chaux-de-Fonds to teach and remained there throughout the First World War. In 1914–15 he developed his first major theoretical work, the Dom-Ino house: a reinforced concrete frame which he posited as a mass production system for free-plan housing. 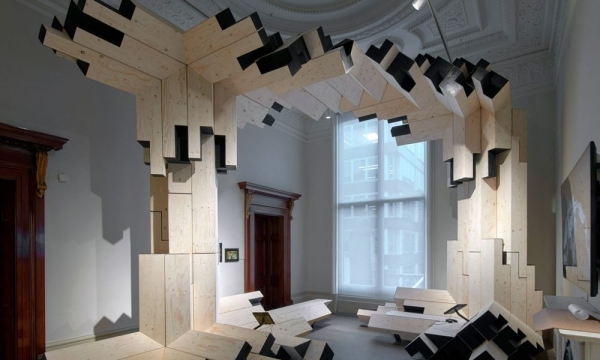 1、Raise the building on “pilotis,” freeing the walls of their structural function. 2、With the walls freed of their structural role, a free plan should be employed. 3、Similarly, the facade should be designed freely. 4、The horizontal ribbon window, enabled by the free facade, should be used to light rooms evenly. 5、The roof should be flat and host a roof garden, replacing the ground space that is occupied by the building. In 1923, Le Corbusier published his seminal book Vers une architecture, commonly translated into English as “Towards a New Architecture.” In this book he elucidated his vision for architecture inspired by the emerging modern era, applying the principles of cars, planes, and ships to buildings. 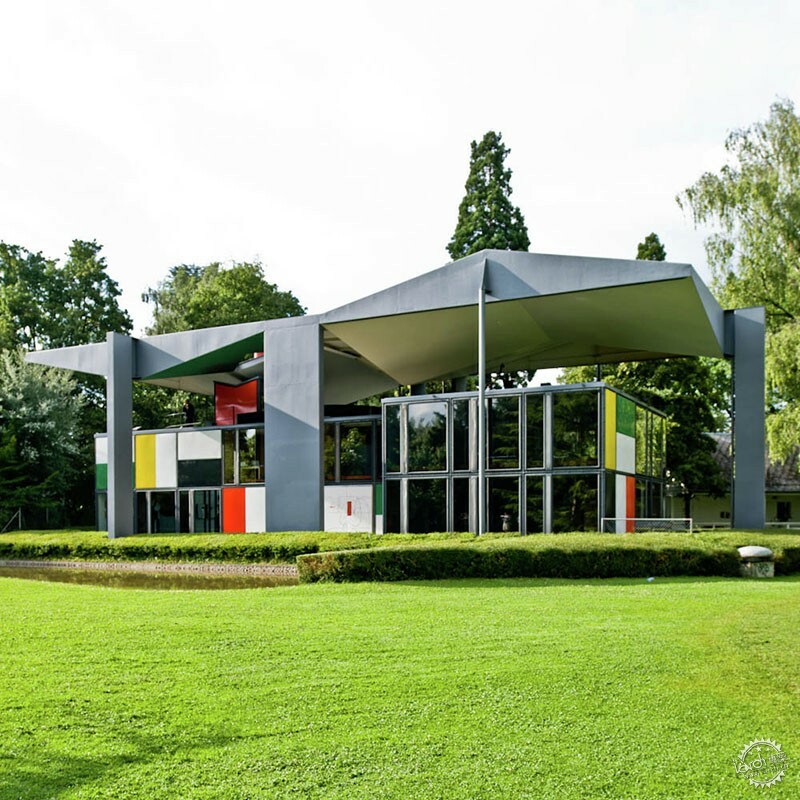 It was here that he proclaimed the house as a “machine for living in,” summarizing his early approach to design and defining the fundamental attitude of Modernist architecture. Of the many structures completed by Le Corbusier in his early period, none is more successful in demonstrating his five points of architecture than the Villa Savoye, completed in 1931. Raising the main living spaces off the ground, the lowest floor features a swooping curve designed to accommodate the turning circle of a car, while the roof can be accessed by a ramp. 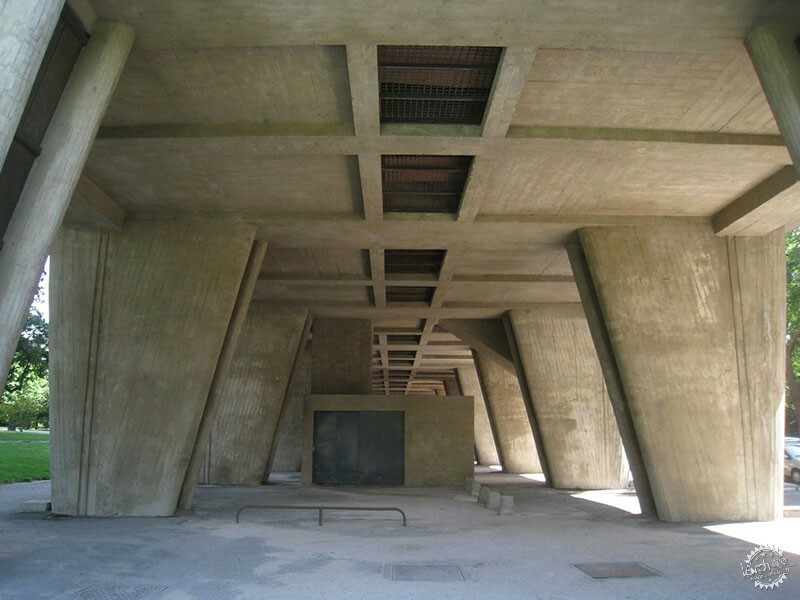 During the 1930s and the Second World War, Le Corbusier completed fewer buildings than in his fertile early years, but the end of the war saw an explosion in commissions. By now, however, he was working in a very different style to the smooth, machine-like modernism of the 1920s, favoring exposed concrete and monumental scale. 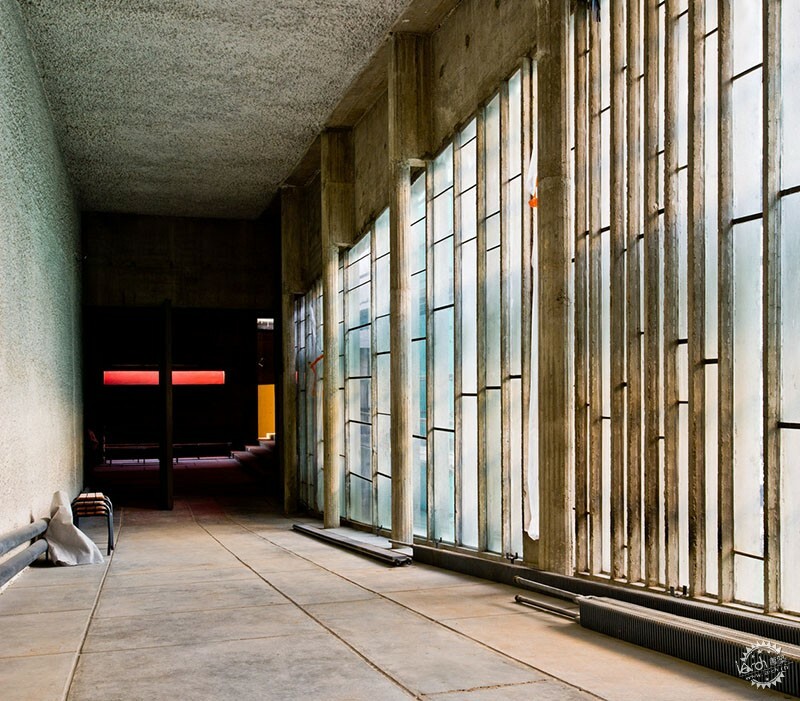 Widely adopted and adapted by Le Corbusier’s many followers, the style came to be known as “Brutalism,” so named for the French Béton Brut meaning raw concrete. 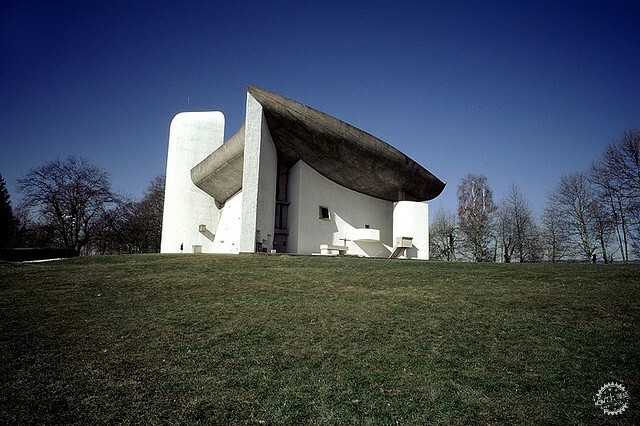 It was during this period of around 15 years that Le Corbusier completed many of his most admired works, including the Unité d’habition in Marseille (as well as similar designs in Nantes-Rezé, Berlin, Briey and Firminy), the chapel of Notre Dame du Haut in Ronchamp, the convent of La Tourette and the Carpenter Center for the Visual Arts, his only building in the United States. Throughout his career, alongside his architectural work Le Corbusier was a fierce and radical campaigner for new visions of modernist urban planning. Like his early architectural work, Le Corbusier’s urban designs were focused on purely functional design and gave great primacy to the automobile. His first plan, the “Ville Contemporaine” was designed in 1922, and in 1925 he designed the “Plan Voisin,” which proposed to destroy a large area of central Paris to be replaced with a grid of modernist towers, set in a park and connected by a network of raised highways. Ten years later, Le Corbusier expanded this design into the hypothetical “Ville Radieuse,” and these proposals would go on to influence the design of his “Unités” as self-contained villages for entire communities. Le Corbusier’s urban planning forms the basis for much of the criticism of his work and his life. Using his power as a key member of the Congres Internationaux d’Architecture Moderne (CIAM), Le Corbusier presented his principles for the functional city in his Athens Charter, so named after the group’s destination for their fourth meeting in 1933. The Athens Charter became a foundational document for modern city planning, and in Le Corbusier’s name cities all over the world were modernized—replacing traditional, organic and often impoverished neighborhoods with high-rise modernist social housing blocks, to varying degrees of success. 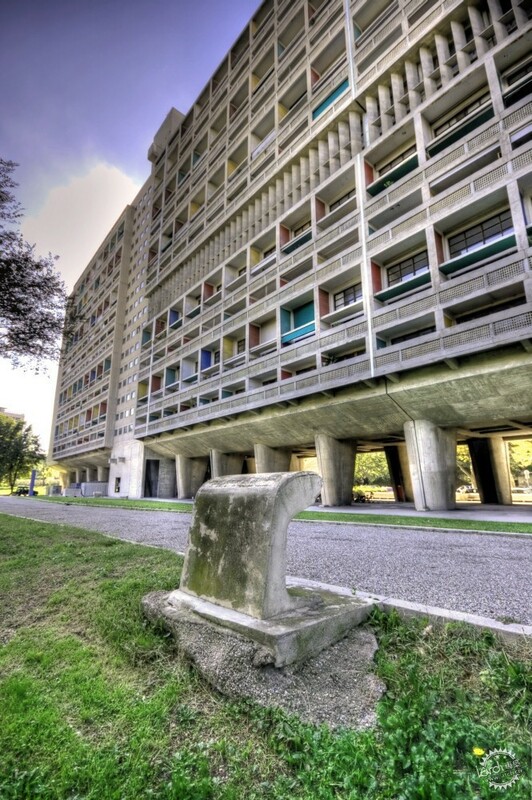 Le Corbusier has also been widely criticized for the political connections he kept in his attempts to realize his plans, working alongside the Vichy government of France and accepting an invitation to lecture in Rome from Benito Mussolini. 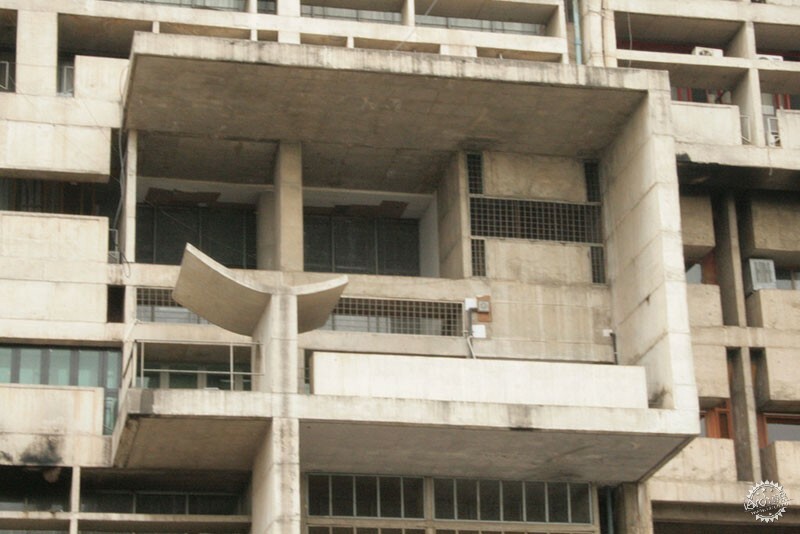 In the 1950s, Le Corbusier was finally able to realize a synthesis of his architectural and urban planning visions when he was invited to complete the design of Chandigarh, the new capital of the state of Punjab in India. Le Corbusier designed a functional city layout, and for the city’s Capitol he designed three buildings himself: the Secretariat Building, the Palace of the Assembly, and the High Court.